Mahasatipattana Sutta (Translation and Notes). This book is in HINDI. 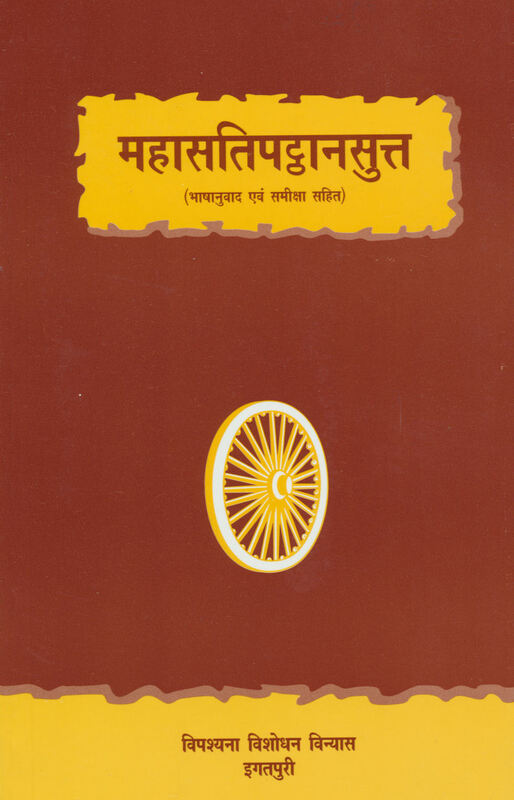 This is an annotated translation and review of the Mahasatipatthana Sutta, the primary discourse in which the Buddha described the practice of Vipassana meditation in detail. Of interest to any serious student of Vipassana meditation or of the Buddha's teaching. It is the text that S.N. Goenka uses for the Satipatthana Sutta Old Student meditation course. Each evening his discourses use the sutta to show why Vipassana is practiced the way it is, according to this discourse of the Buddha.